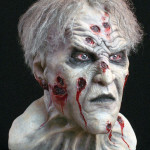 Hammer Horror’s famed Dracula, this Christopher Lee sculpture brings the famed count back to undead life! 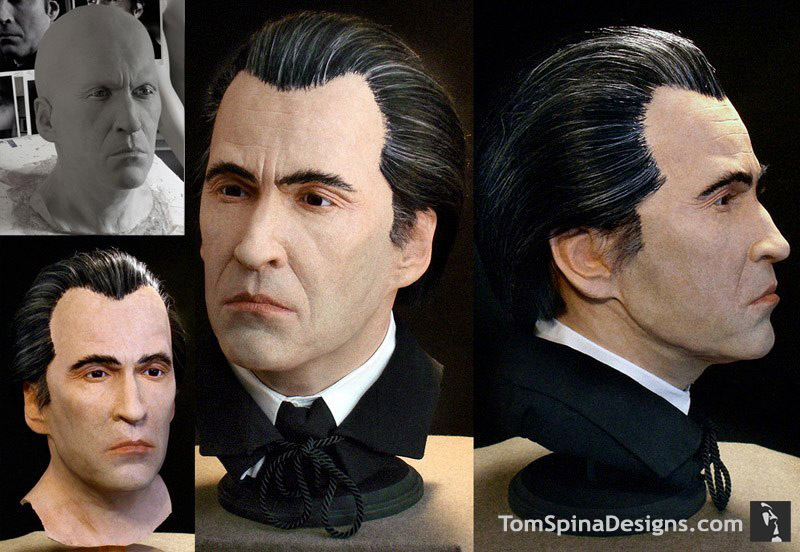 A hand sculpted likeness bust of the legendary British actor as the title character in the 1958 Hammer film, Dracula, this life-sized Christopher Lee sculpture was created in clay by sculptor Tom Spina for casting in latex. 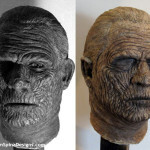 Once cast in latex, the head was hand painted and glass eyes added. 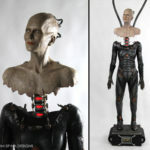 Our client wanted this for a custom mannequin project, so realistic detailing was key. We finished the bust with hand laid hair including the famous streaks of gray from those classic Hammer films! 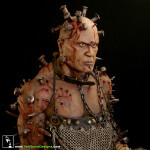 Initially created this to be part of a client’s lifesized wax museum-style statue, we have since also created a life sized bust version of the sculpture, as shown in the pictures on this post. Looking for a unique piece of artwork for your home, office or man cave?